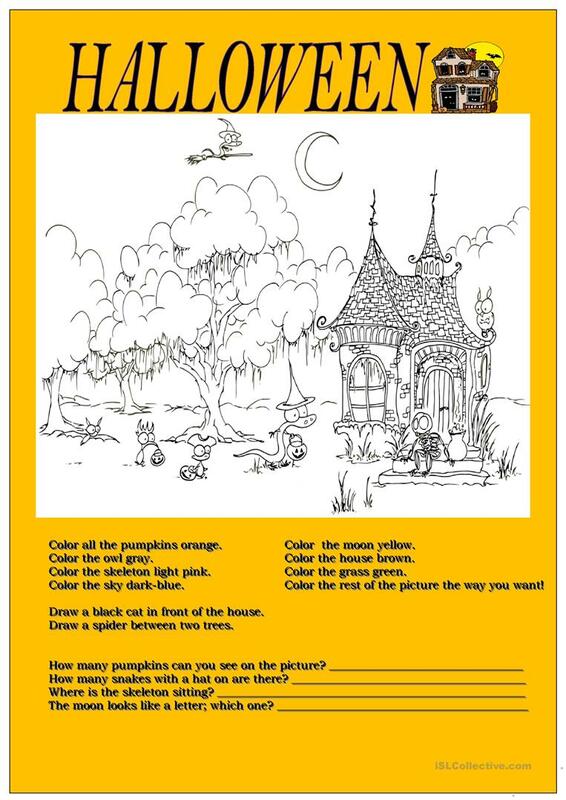 Dedicated to our young learners who have to color and draw a few elements on the picture. This downloadable printable is a great resource for elementary school students at Beginner (pre-A1) and Elementary (A1) level. It was designed for strengthening your pupils' Reading skills. It is focused on the theme of Halloween.